Subsidies for free ATMs mask the real cost of cash. We could use that money to help the people most in need. If you’re struggling to find a cash machine, you’re not alone. 2,600 were lost last year, many from isolated and deprived areas. It’s sparked an outcry, with calls for more regulation from Which? and an ongoing Access To Cash review by the Government. Yet the only action that’s been taken so far is to throw money at the problem. LINK, the UK’s cash machine network, is introducing a ‘super premium’ of up to £2.75 per withdrawal for operators of isolated rural ATMs, as we reported yesterday. With 2.6 billion cash withdrawals made in 2017, that subsidy will really add up. There’s another option, however, that no one wants to talk about. We need to start paying a fee to withdraw cash at all cash points. Fees are hugely unpopular, including with loveMONEY readers as the poll results below show. But I think that only by being realistic about the cost of cash can we protect those who need it the most. Paying a fee to access your own money is extremely irritating, especially as it's something we've become so accustomed to. In reality, cash isn’t free. Every ATM machine you see needs to be maintained and the cash regularly topped up. Taking money from your bank account and turning it into cold hard cash is big business. Revenue from transporting cash accounted for £1.18 billion in revenue for security firms G4S in 2017 alone. Free cash withdrawals simply mean the operator is paid by the bank each time you use the machine. The bank passes the cost straight back onto their most vulnerable customers in the form of pricey overdrafts, credit cards and fees. Another important point to make is that most of us are using ATMs far less than we used to. Cards overtook cash as the most popular payment choice last year, and the gap is only going to widen. Indeed, a poll of loveMONEY readers found that half of us withdraw cash once every fortnight at most, with just 1% making daily withdrawals. With the total number of withdrawals falling every year since 2012, cash machine operators are making less per machine, hence the need for the ‘super premium’ subsidy. Those subsidies will either be paid by banks; meaning more expensive banking and borrowing, or Government via higher taxes, or us paying a fee. The moment you charge to withdraw, you’ll lose half of the people who do use them. 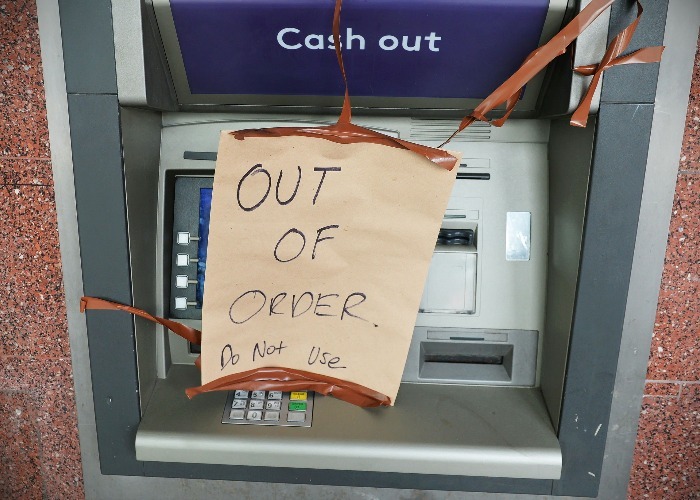 Some 25 million people have a real need for cash, according to the Government's Access To Cash review, which is why the disappearance of many cash machines is so concerning. These people need to be helped, but is subsidising cash machine operators really the best way to do this? For many people, cash is far from essential. We can afford a small withdrawal fee, and spreading it evenly will ensure we all share the cost for this convenience. Of course, we would want assurances that the money was indeed used to maintain ATMs and help vulnerable people and the fee could be regularly reviewed to ensure it was fair on all parties. Paying a fee to withdraw cash won’t guarantee cash machines survive. Cash simply as important as it used to be for most of us: 10 years ago, cash was used for six in 10 payments: UK Finance estimates this could fall to just one in 10 in 15 years. Digital payments aren’t perfect, with small business getting overcharged for processing fees, but they are convenient, safe and secure (reports of criminals using card readers are greatly exaggerated). Eventually, even the proceeds from fees won’t be enough to pay for the costs of cash machines, and they’ll likely join phone boxes in the pantheon of doomed street architecture. Paying a fee won’t stop the inevitable, but it will help us manage this painful transformation in a fairer way. What do you think? You can still vote in our cash machines poll and share your thoughts in the comments section below.